While checking my Untapped news feed I saw a very interesting beer check-in from a local radio personality, Spike from the channel 95.5 Mojo in the Morning Show. The check in was for a Peanut Butter Chocolate Stout by Hideout Brewery. A Peanut Butter Stout is something I had never tried before, and I had never heard of Hideout Brewery. Spike had given it a good review so it was worth trying to find. I figured he had to have tried it locally, so I went to BeerMenus.com to see if a nearby bar had it on tap. Thankfully all the good beer bars are connected on BeerMenus.com so finding it wasn't very hard. I was pleased to find the beer at a local bar in Ferndale, M-Brew. 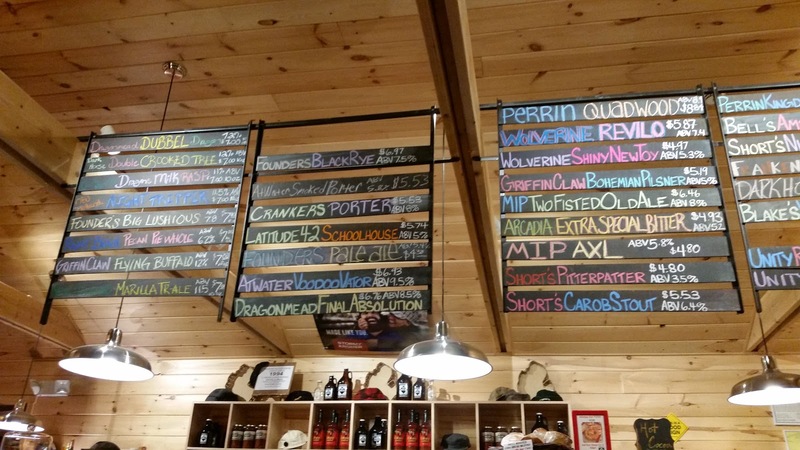 When I arrived at M-Brew I located the beer on their sweet beer menu above the bar. I had a hard time remember the name when I got up to order I just said the Peanut Butter one. Thankfully the bartender understood that I was really ordering a Peanut Butter Stout. One of my favorite things about M-Brew is the sweet arcade. Their arcade includes a wall of pinball machines, a shuffle board table, Golden Tee, and a couple dart boards. Once I had my beer I headed straight to the pinball machines. Pinball is one of my favorite arcade games to play, but I am not that good. 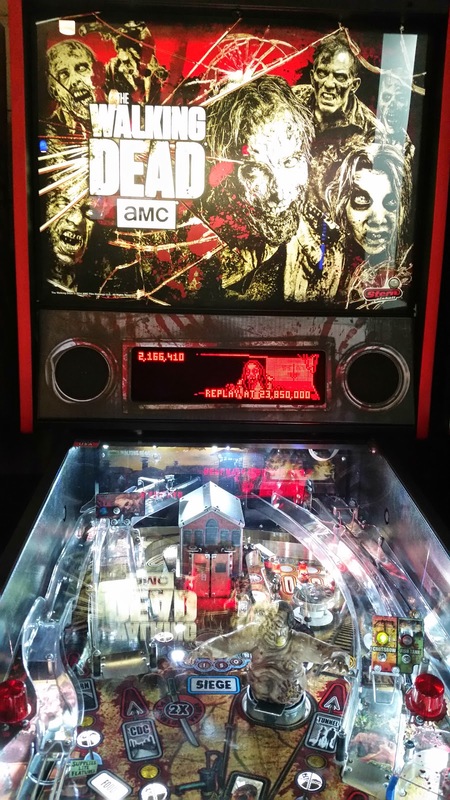 I located the pinball machine I wanted to play first, The Walking Dead, and went and inserted my quarters. After playing The Walking Dead for two rounds I used my last quarters on the Batman pinball machine. Batman pinball was a lot harder then The Walking Dead machine. I burned through my round of balls on the Batman machine very quickly. 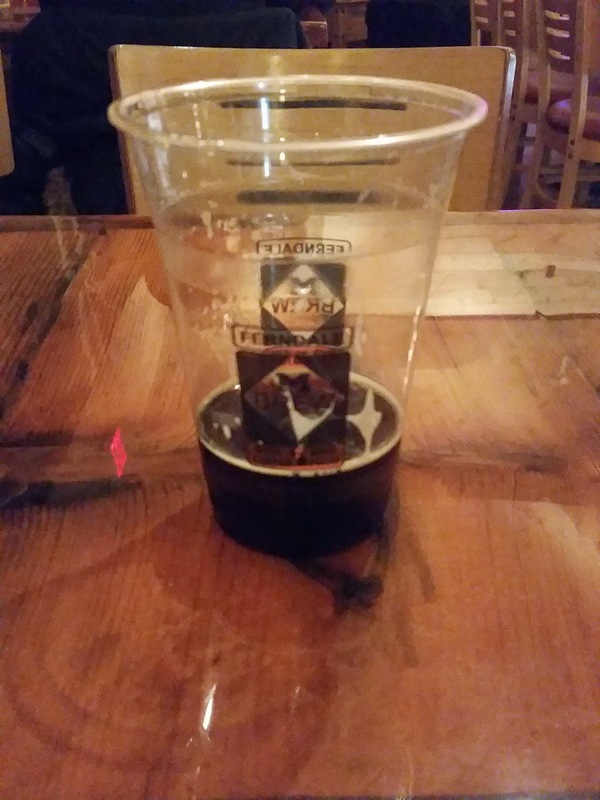 This was fine though, because I was able to focus on my uniquely delicious beer. I made my way back up bar room to relax and enjoy the cabin like atmosphere. While sitting there I joined a conversation about random things like pizza combos and how this girl had never heard of a combo. It was mind bottling to think that someone had never hear of COMBOS! But I guess when you grow up in China, Germany, and Brazil you miss some of the simple American things like Combos. The stout was poured from the taps at M-Brew. There is a nice aroma of peanut butter and chocolate with a medium tan head. With my first sip of the stout I had to do a double take, had I just had a sip of a stout or a bite of a peanut butter cup. It has a peanut forward taste followed by a nice dark chocolate taste. The peanut butter and chocolate give it a dark color and a dark taste. As it warmed up the taste continue to improve. I would compare it to eating Reese's Peanut Butter Puffs cereal. This beer was a great surprise and I am glad I got out to M-Brew to try it. I will have to track down more beers by Hideout Brewery in the future. They really made a good impression on my pallet with their Peanut Butter Chocolate Stout.